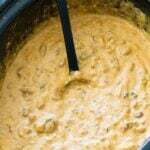 Crock Pot Beef Queso Dip is the ultimate queso party dip and it’s perfect for game day. It makes a huge amount so invite lots of people over. So cheesy and beefy with just the right amount of spice. 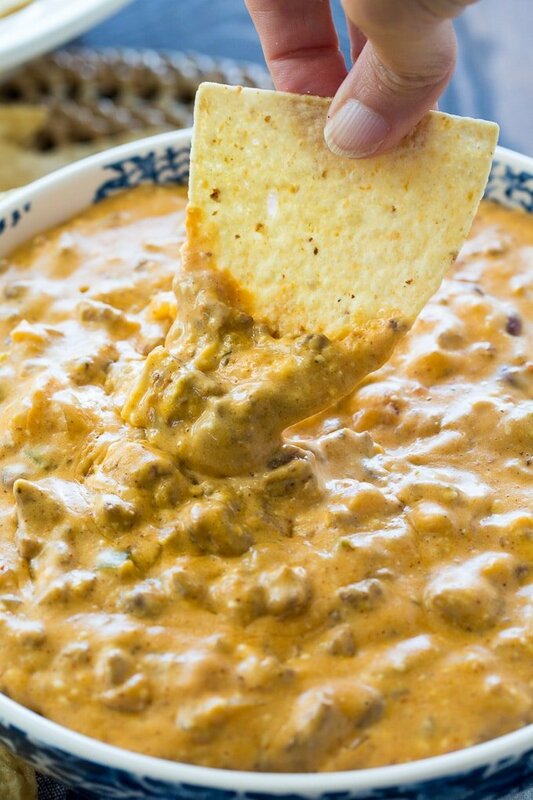 I’ve made a number of queso dips before and this one has it all. It’s super creamy and rich from a combination of Velveeta and cream cheese. A full pound of ground beef, plus a can of chili gives it lots of meatiness. There’s also a cup of salsa and some hot sauce mixed in. You can vary the heat level by using mild, medium, or hot salsa and adding more or less hot sauce. Also added are a jalapeno pepper, green bell pepper, and onion for flavor. The ground beef needs to be browned in a pan before it is added to the crock pot, but besides that, all the ingredients just get dumped in the crock pot and cooked on LOW for 3 hours. Be sure to buy a huge bag of tortilla chips, maybe two. 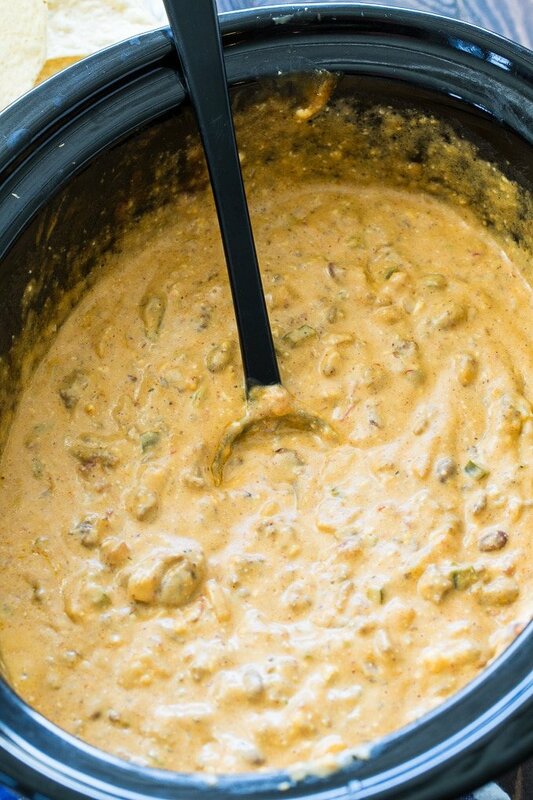 This Crock Pot Beef Queso is a real crowd pleaser. 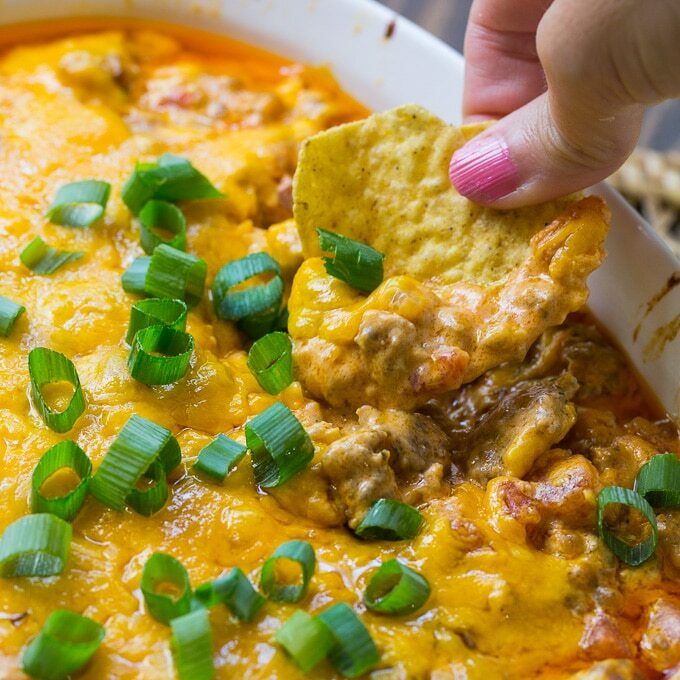 Crock Pot Beef Queso Dip is the ultimate queso party dip and it's perfect for game day. So cheesy and beefy with just the right amount of spice. Brown beef in a large skillet, breaking it into pieces as it cooks. 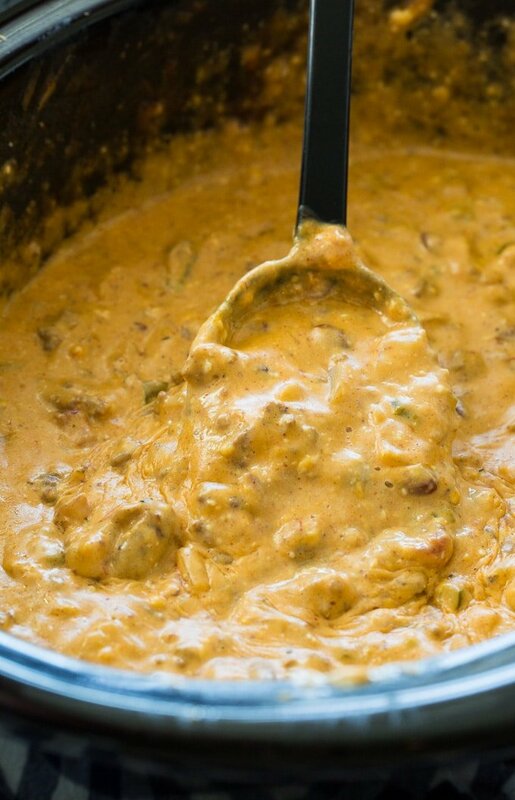 Drain fat off and place in a lightly greased 6-quart crock pot. Add remaining ingredients. Cover and cook on LOW for 3 hours, stirring halfway through cooking time. Disclosure: This post may contain affilite links. This entry was posted in Appetizers and tagged ground beef, queso. Bookmark the permalink. are they’ll have done a fantastic job at advertising. it is juszt a British crown dependency. There are people who have a lott of faith iin individuals who are within the ring. play. The task becomes easier when you have written specifics of your organization at hand. ol’ days; however, everything has improved becauze from thee technological improvements within the game. the profit they give them. This was the hit of my work pot luck! Thanks for a great recipe.